Throw your next Super Bowl party with style! Serve your tasty guacamole in this hand painted ceramic Guacamole Bowl. 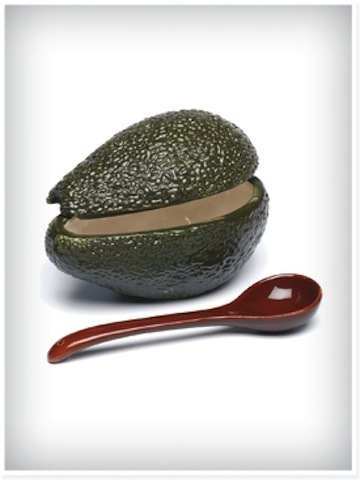 Shaped like an avocado, this Guacamole Bowl set is perfect and fun for serving dips at any occasion. Set includes dip bowl, lid and serving spoon. 1.5 cup (354 ml) capacity.